The chiefs of the Hunkpapa Lakota and Yanktonai Dakota Indians, their people, and others, including Anglo-Americans, Mexican Americans, Asian Americans, African Americans, as well as other peoples throughout the world are taking a historic stand against crass plunder and exploitation by multinational corporations in the United States, who are attempting to seize the very essence of life, water, from the people who live on the Standing Rock Reservation. A political war is now raging between the Native American nations and the American government, as they understand more than ever how their very existence is being threatened. Now the famous Oglala Lakota Sioux, with their young warriors, can be seen on horseback confronting, without arms, American law enforcement officers who look like German Nazi troops from the beginning of the last World War. Native Americans are taking a historic stand on the plains and undulating hills of Standing Rock, North Dakota in their great protest against the creation of the Dakota Access Pipeline, which directly threatens the only water supply for the Standing Rock Reservation, which means also their way of life as a people. We must ask ourselves: are these Native Americans also engaged in a heroic and legal struggle for self-determination as a people and as a nation? When one thinks of the resistance of the Lakota and the Dakota Indians in their struggle against the class-based and racist imperialism imposed upon them by the American government, then it is their right to fight for their way of life, or as Stalin once put it: “The right of self-determination means that only the nation itself has the right to determine its destiny, that no one has the right forcibly to interfere in the life of the nation, to destroy its schools and other institutions, to violate its habits and customs, to repress its language, or curtail its rights”. Is it not an obligation, the very duty of the young warriors, including their women and elderly, to demand that their native peoples, who were here on the lands of Dakota long before the outcast white Europeans came upon American shores, to determine if it is in their best interest to create a nation representing them and their language, along with their cultural habits, on the basis of autonomy? 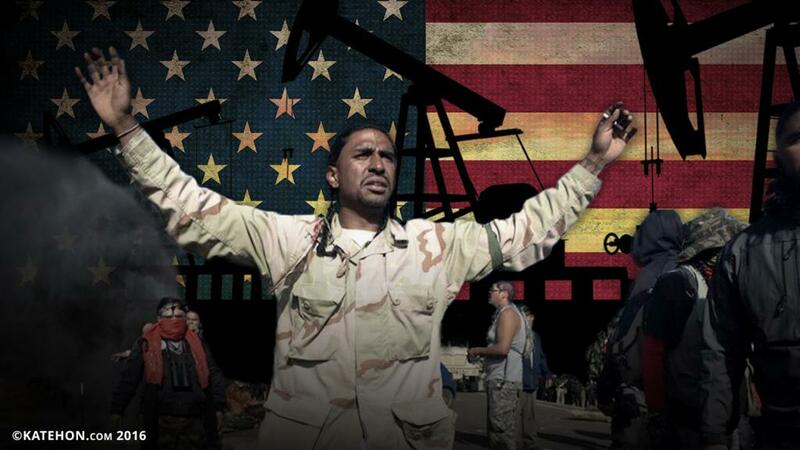 The crisis at Standing Rock Reservation is also symbolic of the overall position of the national question that has now come to the forefront in the United States, even as the current Obama regime looks outward in its preparation for world war. The Standing Rock crisis is almost a metaphor for the American people and its endless, ongoing wars. There are even American generals and admirals who are wise and prudent enough to understand that such war for greater hegemony can lead to catastrophic disaster for the nation and the American people. Therefore, let us understand that it is not just a fight for water that the Native Americans and their allies might give their lives for at Standing Rock against federal law enforcement agencies and the national guard. Let us also understand that it is not just prayers or the profound native Indian chants for a peaceful outcome to maintain their scared grounds along the Cannon Ball Rive and its tributaries which grace the Dakotas that will determine victory or defeat for these national minorities. This struggle is really about the fight for their very integrity, between living full lives or dying as slaves for a capitalist system that cares nothing about them, an economic system which cares more about oil and how to gain monetary value at all costs, how to further enrich already glutinous wealthy Americans. Therefore, let us ask ourselves why, at the present time in American history, there is no feeling of national unity and why American workers and national minorities are feeling displaced and in despair, but are, out of their despair and anger, now rising up again. Such crises of self-determination can happen in other modern states. As Stalin once wrote about such national crises, wherever they may be: “Thus, equal rights of nations in all forms (language, schools, etc.) is an essential element in the solution of the national question. Consequently, a state law based on complete democratization of the country is required, prohibiting all national privileges without exception and every kind of disability or restriction on the rights of national minorities.. That, and that alone, is the real, not a paper guarantee of the rights of a minority”. If the Native American Indians do not have due recourse for having full rights to determine their way of life on their rightful land, then the great spirit of Crazy Horse will come again with a vengeance of civil war and egregious confrontation. However, it must be understood that revolution or revolt is serious business, and if there is no revolutionary theory, no strategic and tactical plans in confronting an enemy, then the loss of life in such struggles can only lead to deep setbacks, as the French proletariat learned all too well during the uprising of the Paris Commune. The great chiefs in the likes of Sitting Bull and Crazy Horse knew that, even with their private spiritual lives intact, confrontation in all forms required a plan of strategic attack and tactical retreat, as well as diplomatic contact with the enemy when the time and place was appropriate. In remembering the more complex and profound ways of struggle and confrontation like what is taking place at Standing Rock, North Dakota, there is also the great spiritual tradition of Native Americans. It was reported that cries of joy came out of the voices of the Standing Rock Sioux, as they had been praying for assistance from the Tatanka Oyate during their standoff with riot police and national guardsmen. Amidst endless arrests, mace attacks, and beatings from rubber batons, a stampede of bison suddenly appeared in the protest camp on an autumn, October afternoon - seemingly a symbol of the resistance of the oppressed.